The intention of this worksheet is just to have fun. 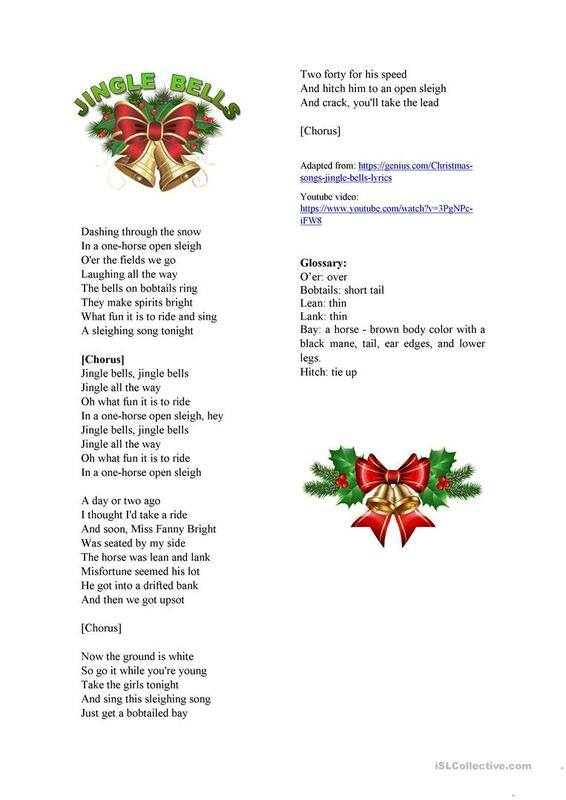 This is one of the most known songs of Christmas season and few people know the entire song, let alone its meaning. The present downloadable printable is recommended for high school students, elementary school students and adults at Pre-intermediate (A2) and Intermediate (B1) level. It is a valuable material for working on your pupils' Listening skills.